For the first time (apparently) ever Rodrigo is the first up and out of the campground. There is a soccer game on that he is hoping to watch in Agua Dulce so he is racing the 10 miles there to catch it this morning. It is a hot day and I’m in no rush (except to beat the heat) so I head out a bit later just after Cookie and am passed quickly by Kyle and Sam racing up the hill. At the end of a tunnel some amazing person has left some gatorade! I’m rottenly sweaty already and after all the beer and sun yesterday I think my body is actually happy for this addition of yummy orange sugar electrolyte drink! 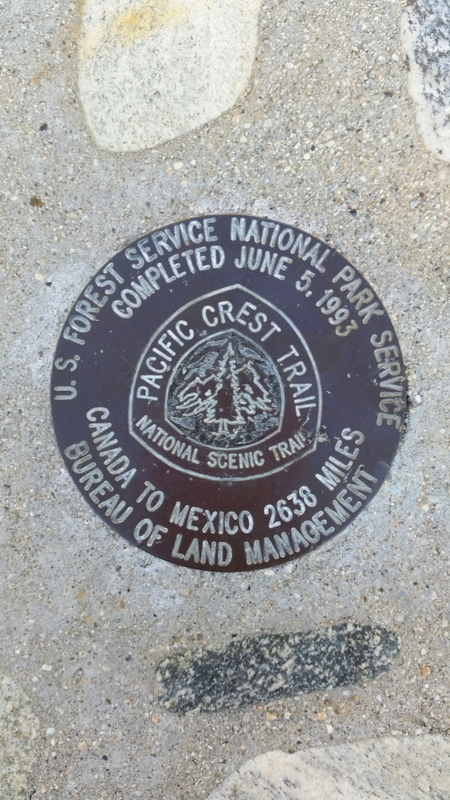 It makes me smile that in my new trail life I have no hesitation picking up random food and drink that a stranger has left on the ground, and take it for granted that it was actually intended for me (and other hikers)! 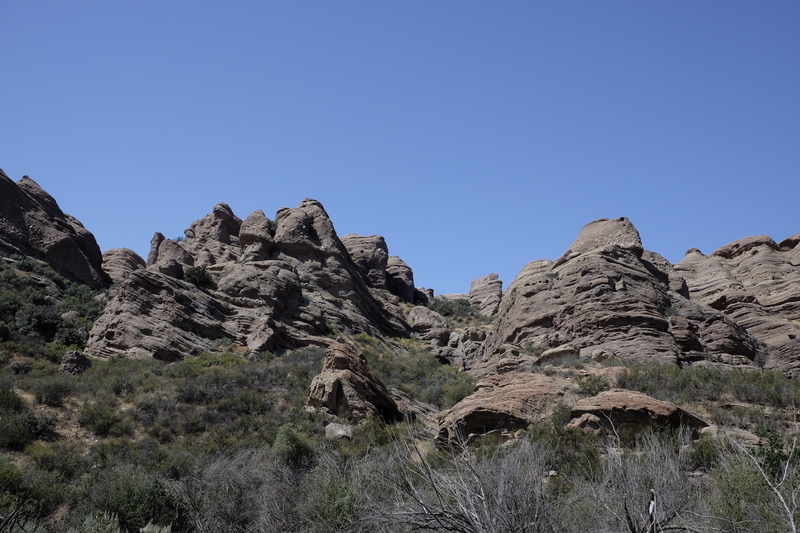 The trail passes through Vasquez Rocks which is a cool place used a lot for Star Trek filming. 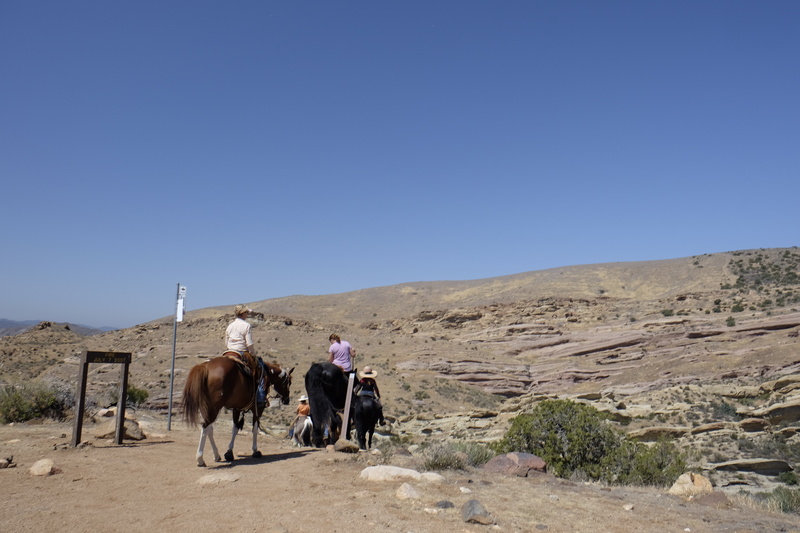 The rocks are pretty awesome and it attracts a lot of day hikers, and group on horseback who stop me and ask me questions for a while about the trail. Someone calls out my name and I find Tim hiding from the sun and nursing sore feet under a tree. 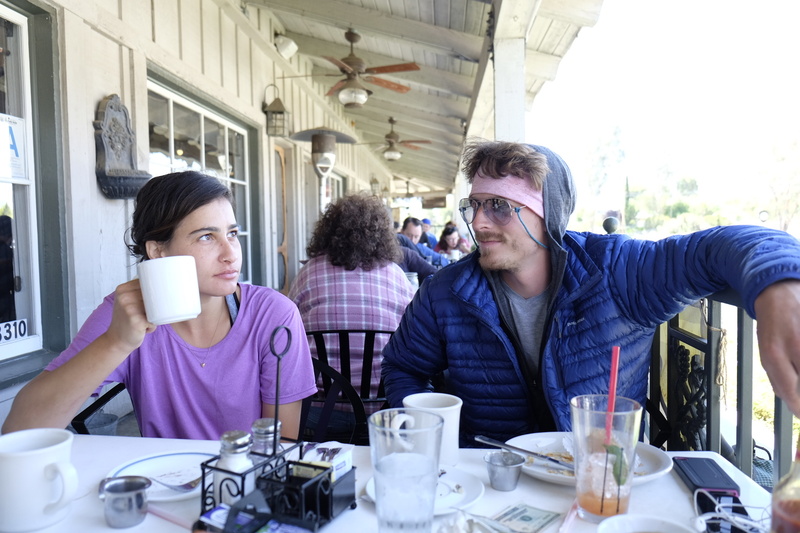 We stumble into Agua Dulce together and I find the others finishing brekkie – so many stops to chat today I missed my coffee opportunity. Not to worry, they are headed across the road to the Mexican restaurant where the soccer will be playing so I eat a burrito for brekkie instead. We waste a few hours hanging out in the restuaurant, buying our resupply in the shop next door, eating random food, comparing how much food we have bought for this section, and generally just hiding from the sun. Chicken Fat and Lobo are hanging out there waiting for a hockey game to start in the afternoon, and I see Joel and Jill who I haven’t seen since day 1! 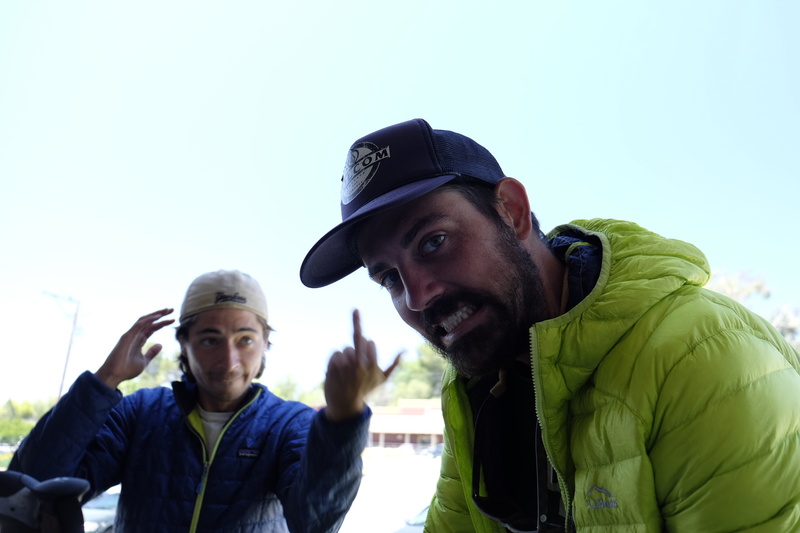 They are speedy hikers, having hiked the AT last year and have just jumped on trail after taking off a couple of days. Finally when the sun is a tiny bit lower and we’ve filled up our water bottles we start the road walk and then climb out of Agua Dulce. It is late and our destination is at least the next water source in 10 miles. 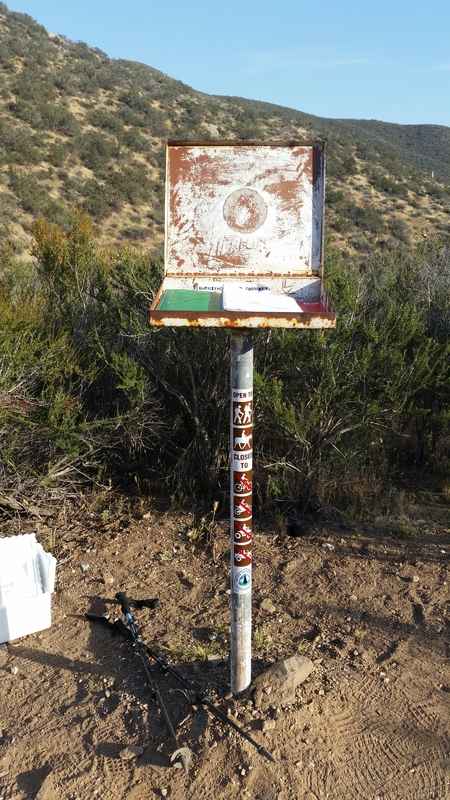 It’s a hot march; Cookie and I walk together for a bit and sign the trail register randomly in the trail in the middle of nowhere. We spy the guys marching in a line off in the distance. They are on a mission amd going fast – it doesn’t take long before they speed past! The sun is setting and we are losing light. The trail is confusing at the top and we all catch up together when we somehow take a wrong turn. Finally on the right path with the last skerricks of light we run down the hill fast! I’m entertaining (annoying) the others by singing showtunes at the top of my voice while running. Tim is a musician who has played various instruments at many shows, so he joins in too! Yay showtunes! We finally make it to the water, but there isn’t really any where to camp 🙁 We end up in a field downhill , with tents set up on top of long long grass and all squished together. Dinner of hummus and carrots that I bought at the shop is devoured in tent hiding from bugs and chatting to everyone through the flywire. A solid 19 miles done despite the long long break in the middle of the day!